The PR-1 is a highly advanced pinger receiver that will quickly locate any pinger transmitting a frequency between 3 KHz and 97KHz. 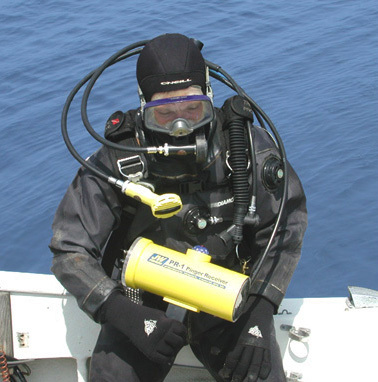 The receiver can be carried by a diver or deployed from a boat. 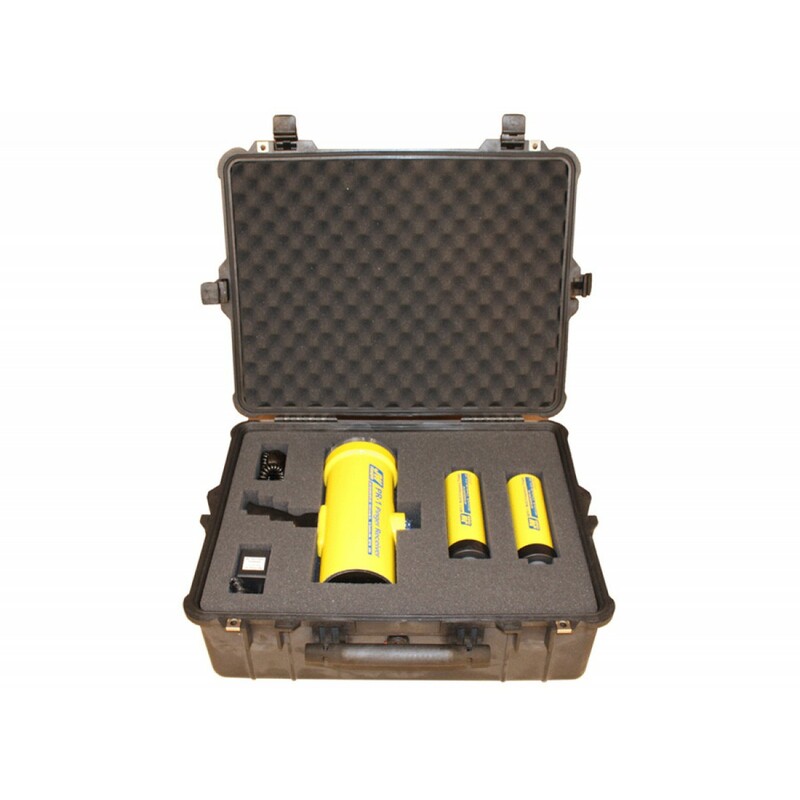 The Operating the receiver is easy; select the frequency to be located and scan the area with a 360 degree sweep. 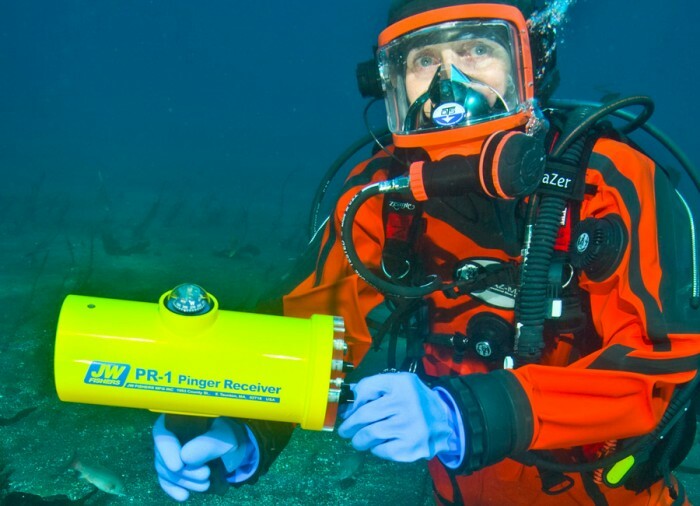 When the diver points the receiver in the direction of the pinger, an audio alarm sounds through the underwater earphone and the LED light bar flashes. By reducing the sensitivity of the receiver the diver can obtain an exact direction to the pinger's location. As the diver swims in that direction a compass mounted on top of the receiver provides the precise heading. As the diver approaches the pinger, the audio tone gets louder and the receiver's light bar flashes more LEDs. If several pingers are operating in the area, the diver can switch the receiver tuning and repeat the procedure. The frequency is quickly changed using a control on the front panel. 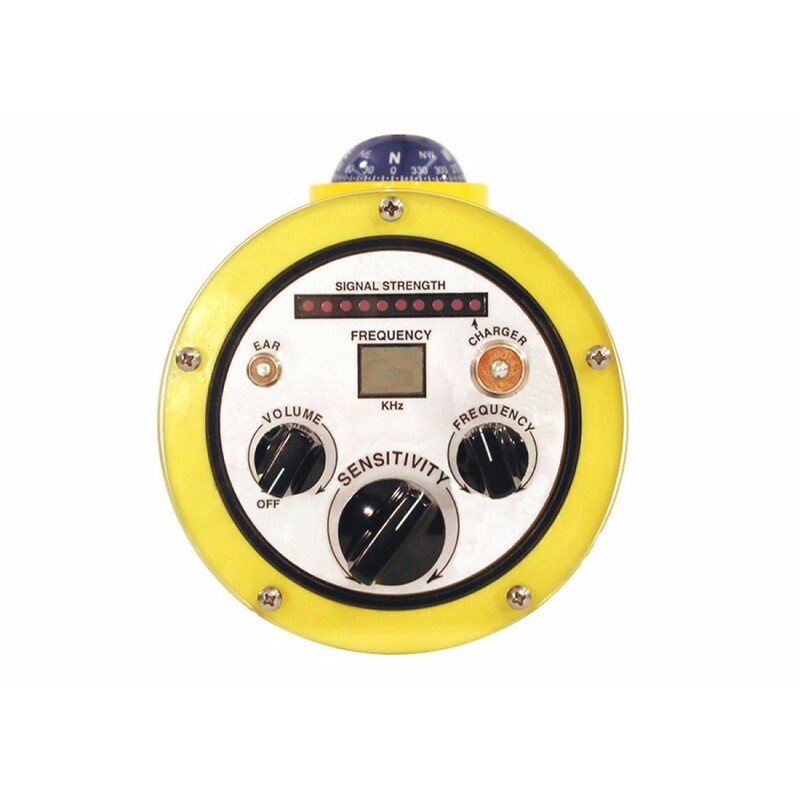 The frequency setting is displayed on a large, easy to read LCD (illuminated digital readout) as a number between 3 and 97 on the control panel. 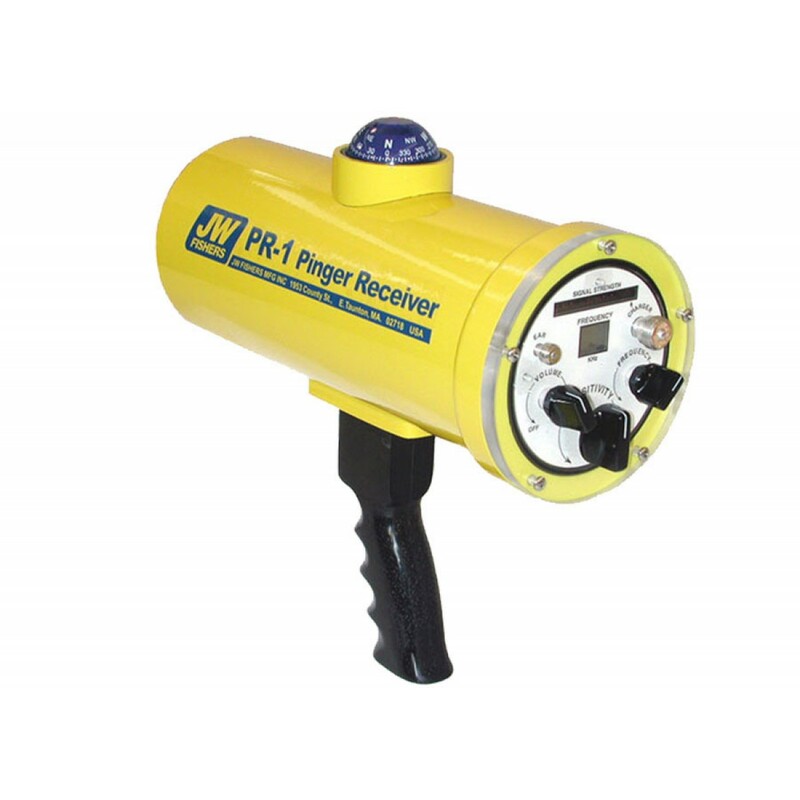 The PR-1 Pinger Receiver is backed by JW Fishers exclusive, UNCONDITIONAL TWO YEAR WARRANTY. 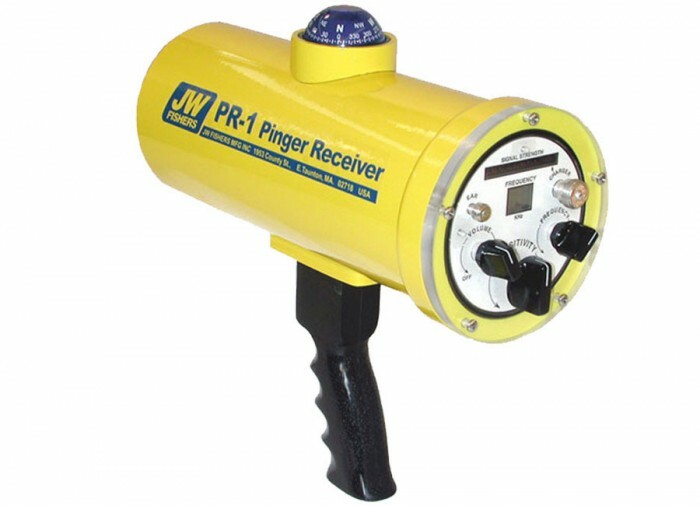 The PR-1 is an highly advanced pinger receiver that will quickly locate any pinger operating from 3 - 97 kHz. 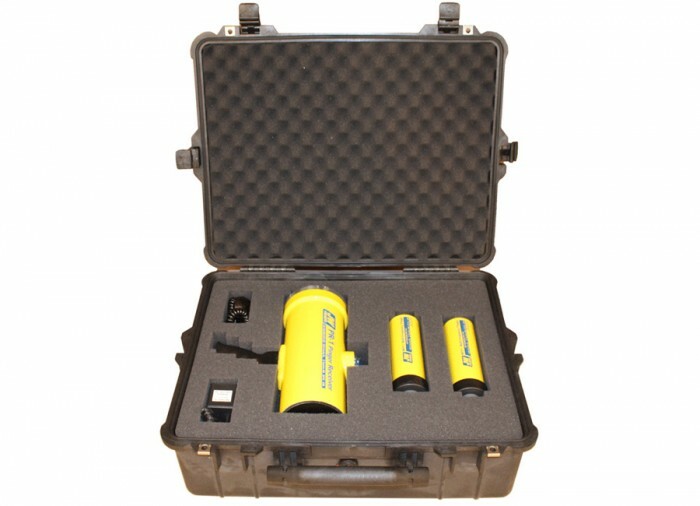 It can be operated as a diver-held receiver or, with the optional connector and boat deployment kit, can be deployed from a boat. The system is easy to operate. The receiver is tuned to the desired pinger frequency and the diver scans the area. 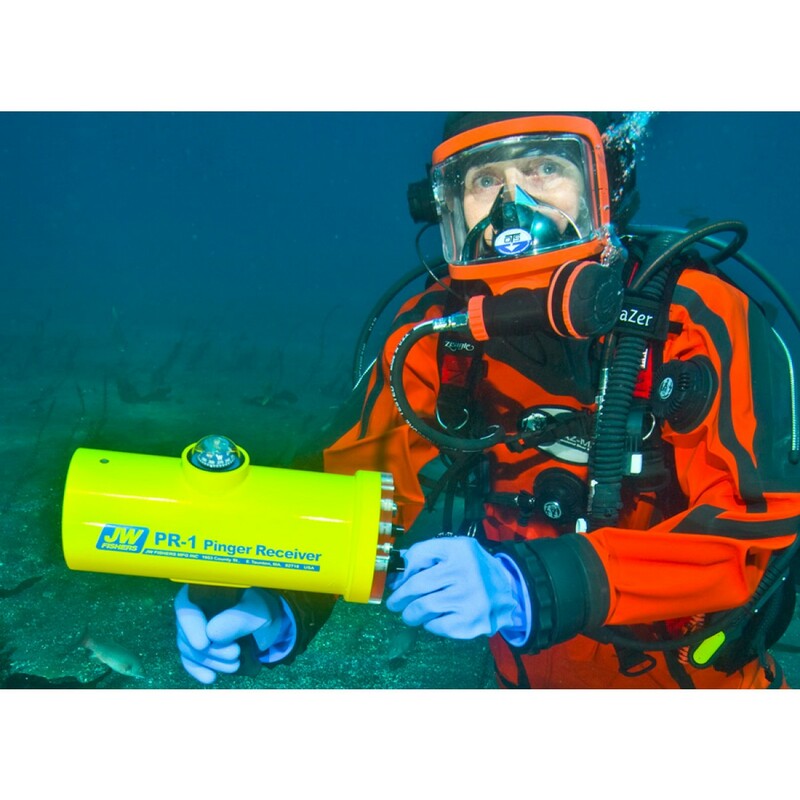 When the diver points the receiver in the direction of the pinger, the acoustic signal from the pinger is heard in the earphone and the LED light bar flashes that the pinger has been detected. The sensitivity of the receiver is then reduced and the diver looks at the compass mounted on top of the receiver to see the exact heading to the pinger. As the diver swims closer to the pinger, the audio tone gets louder and the light bar flashes more LEDs, indicating the received signal is getting stronger. 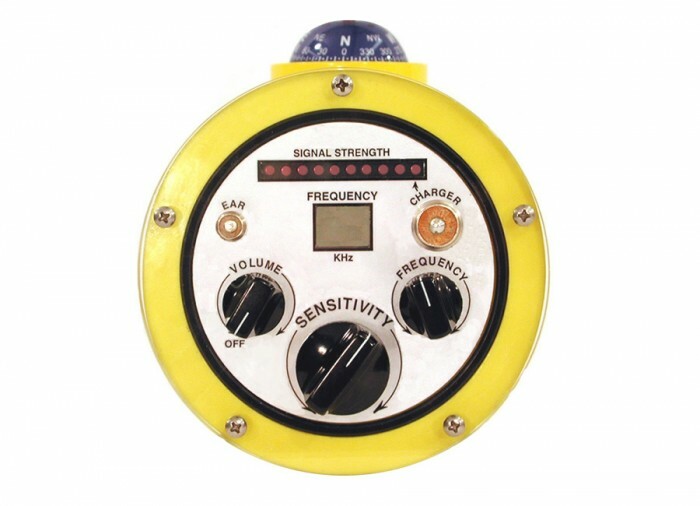 If more than one pinger is operating in the area, the diver can switch the receiver tuning (illuminated digital readout) to the new frequency and repeat the above procedure. The receiver is powered by a NiCad battery pack that will operate for 30 continuous hours before needing recharging. Charger is included and operates from 120 volts AC. 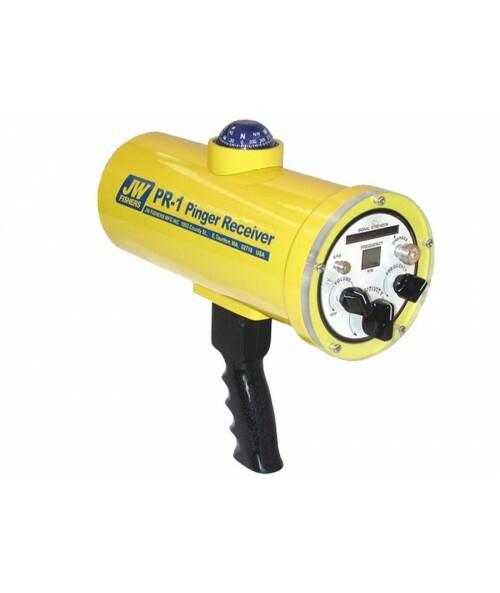 Fishers Pinger Receiver is built for rugged operation and is covered by our exclusive 2 YEAR UNCONDITIONAL WARRANTY. This pinger receiver is a monument of craftsmanship and ingenuity. Masterfully designed and functional, I was able to locate pingers in a fraction of the time that was previously needed. It's automated ringing system is designed to help you find pingers quicker and easier than the conventional manual method. Numbers don't lie, I was able to find a personal record of 34 pingers compared to my previous 5 using the manual method. Simply works.